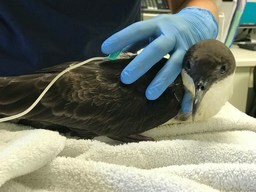 The shearwater was released at sea on July 31, 2018. 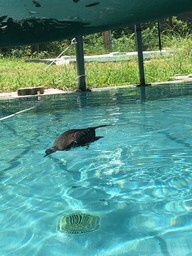 The birds should be on open water to take flight. 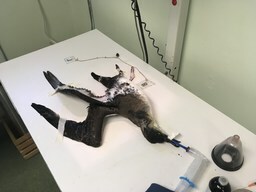 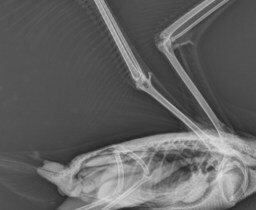 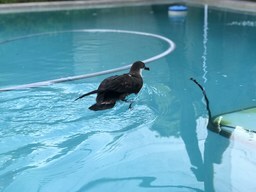 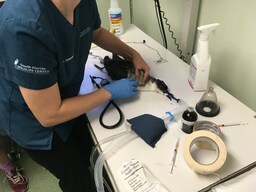 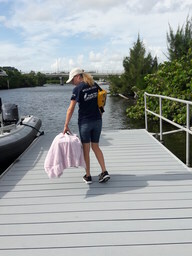 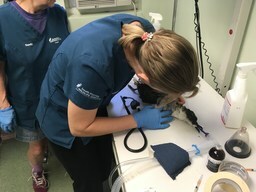 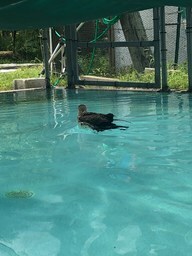 A shearwater bird was found on a cruise ship near the Bahamas and then brought to another rehab center in Miami before being transferred to SFWC a couple of days later on July 15, where he is being treated and rehabilitated until ready for release. 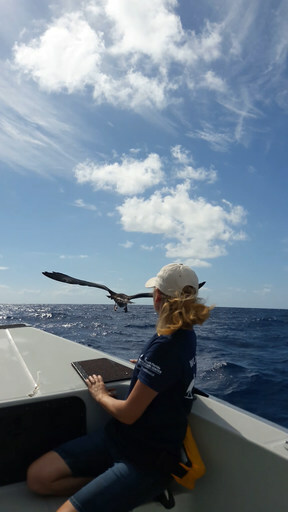 According to SFWC vets: “It is rare to see them because of their lifestyle – they spend so little time on shore and when they do naturally it is for breeding, in a tiny uninhabited island chain in the middle of the Atlantic. 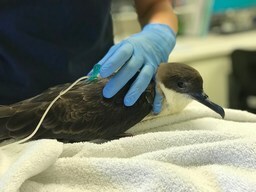 This is also why they are usually in such bad shape when we get them – they have been battling seas and winds and have often depleted their migratory stores. 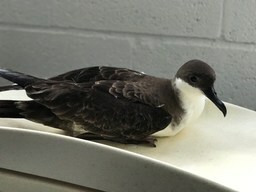 In the last five years the center has only seen 22 of these birds (out of an estimated 12,000 animals each year). 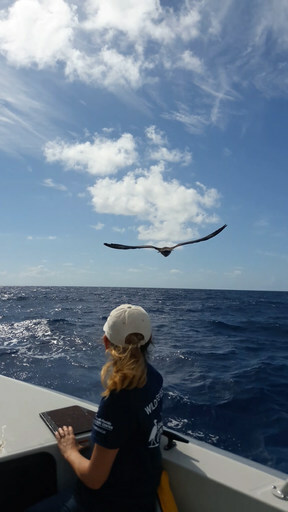 These birds are pelagic and apart from breeding spend their lives over the deep stretches of the Atlantic Ocean. 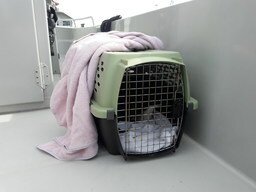 We believe they were driven onshore / onto the cruise ship by storms coming through their migratory routes. 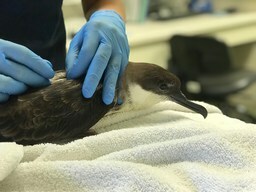 South Florida Wildlife Center successfully released an adult great shearwater for the first time in five years. 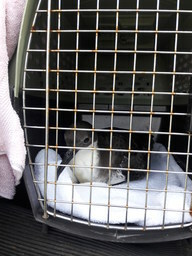 These seabirds are rarely seen on land; the wildlife center has only received 22 of them for care in recent years.